Leaving Puerto Escondido, Tony and I started the long 660 km journey that would take us along the Oaxacan coast and then up into the mountains to San Cristobal de Las Casas in the state of Chiapas. It was a long 9 day journey that would see us passing through a wide variety of landscapes, from sandy beaches, to muggy tropical plains, to jungly cloud covered hills. 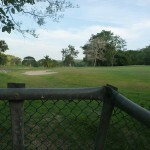 It was a hot and humid trip, with temperatures usually around 31 to 36 degrees and close to %100 humidity. If there was no breeze present I would instantly begin spraying out sweat from every single pore. My gloves were always a sweat-filled sponge that would need to be wrung out every few kilometers, and my sunglasses would get progressively more greasy as the days went by without a shower or a chance to clean my salty, sunscreen lathered sopping clothes. In this kind of weather camping becomes a lot less fun as your tent – even without a fly – becomes unbearably hot at night. However, you can’t ditch the tent as the mosquito netting it the only thing keeping out the multitude of creepy crawlies that flourish in the jungle. One night I sat outside my tent reading my book when I felt a tingling sensation move across my leg. I looked down to find a hairy, grotesque looking spider about the size of an OK sign running across my knee. I leapt up, only to startle three other of the little buggers and send them scattering off into the dark. After that I moved into the hot tent. Apart from the climate and bugs, the routine of wild camping on the side of the road has started to wear down on me. 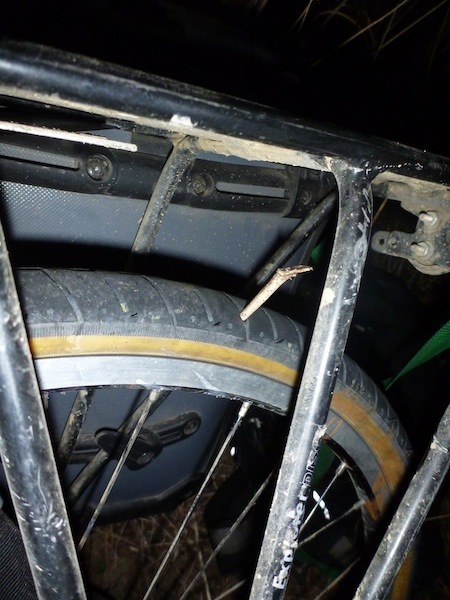 For over 6 months now I have been fairly regularly unloading my bike, unpacking everything, setting up my tent and stove, and making up camp only to pack it all up again the next morning. 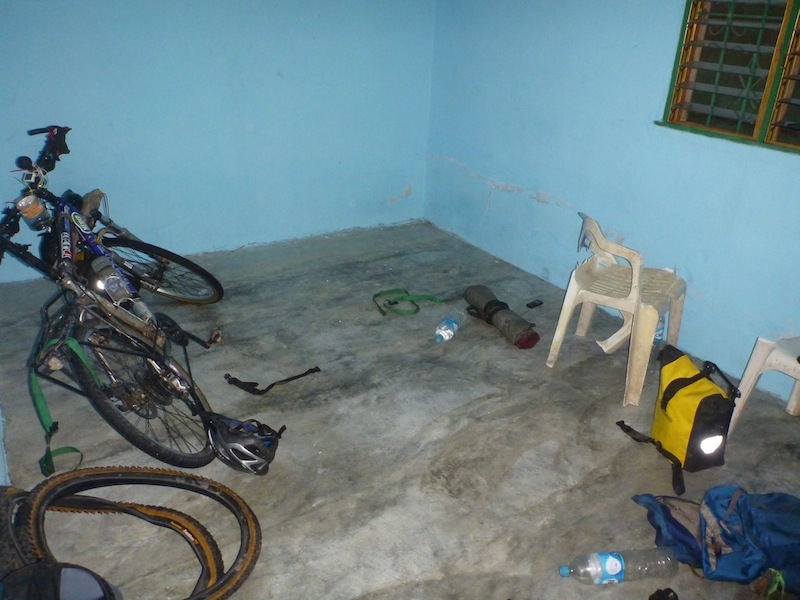 It takes a fair amount of time and energy to do all of this, and after riding 100km, all you want to do is lay down somewhere dry and clean and go to sleep. So as Tony and I worked our way to Chiapas, I resolved to put more effort into avoiding the roadside camp, and more effort into finding a more civilised place to sleep each night. It was a pretty varied 9 nights for us. 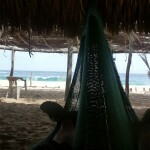 For $3.50 you can get yourself a hammock on the beach (with shower and facilities to use) in Mazunte, a little quiet beach cove about 60 km away from Puerto Escondido. 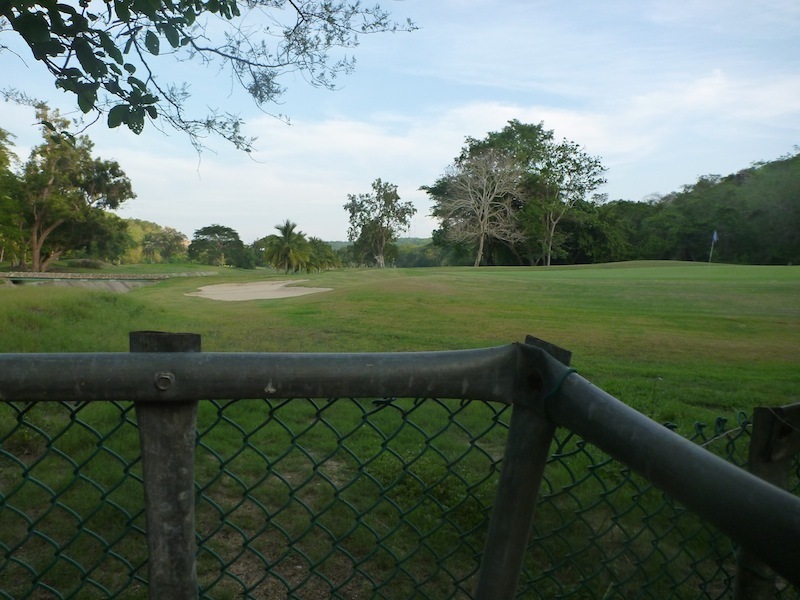 Passing by Huatulco, a massively false and unmexican resort area I found myself camping next to a beautifully manicured golf course. True, I had to hide, when security came around with spotlights, but it was a convenient spot right next to the road. 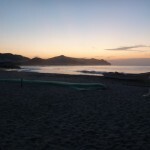 Unless you are a surfer you would never have heard of the tiny village and even smaller beach of Concepcion La Bamba. 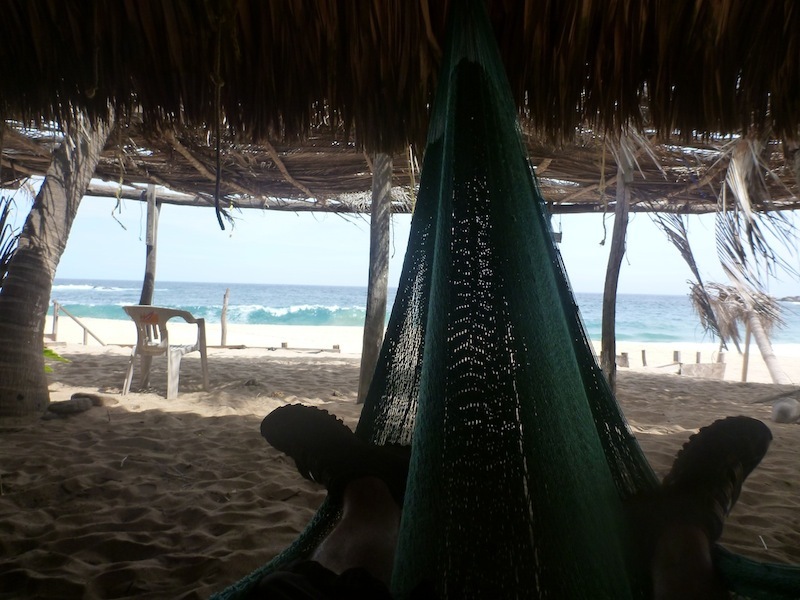 I was lucky to trip upon it, and after chatting with the local surfers, and later the local fisherman, I was left alone after sunset to sleep in one of the hammocks the fisherman had set up on the beach. 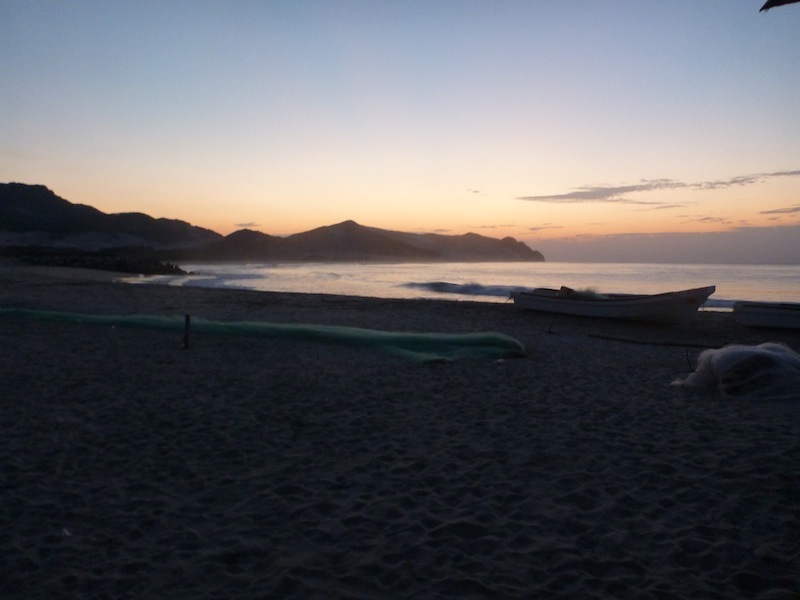 I woke up to a beautiful sunrise and did a bit of bodysurfing in the warm crystal-clear waters before moving on. Night Four: Wild camp outside of Tehuantepec. 360km to go. A truly horrible camp spot in a field near the road. 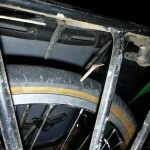 This was the night of the spiders that made me realise that camping just isn’t always fun. To top it off I woke up to two flat tires caused by the spiky plants surrounding me. 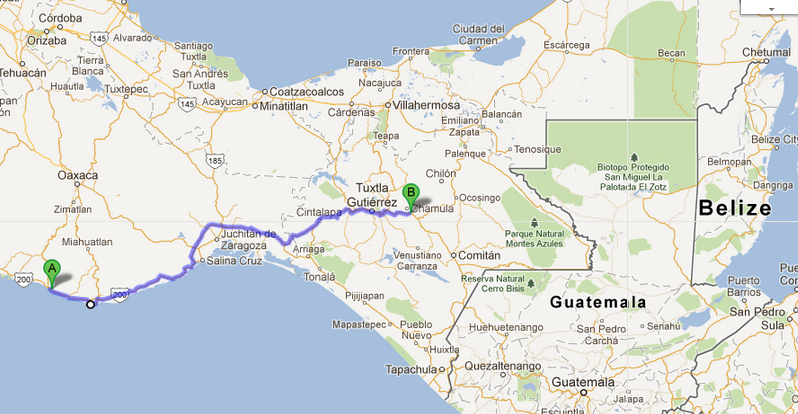 Night Five: Razgado Family in Zenantepec. 260 km to go. I got picked up off the side of the road by this incredibly wonderful family. It turned out they had joined Warm Showers site 6 months earlier, and as most of the roads to south america funnel past this tiny town of 10,000 people, they had been very busy hosting all the cyclists coming through. I had my first bed in weeks, got to clean up with a bucket of cold water, and got to eat a bunch of the scrumptious food cooked up by Ricardo’s young wife Lupita. 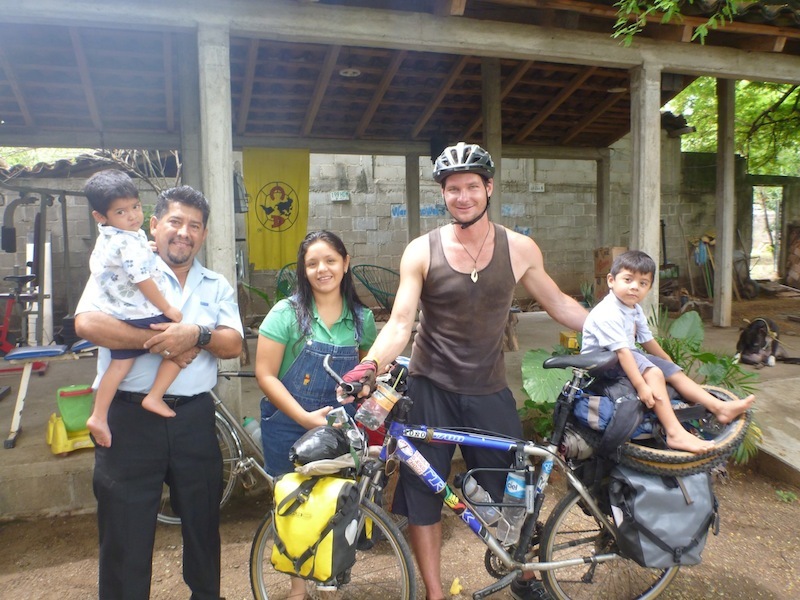 Staying with this family was a welcome surprise and we chatted into the night about all our mutual friends as many of the cyclists I have met this trip (including Greg and Regina and Johann and Marie and Raul and Marta) had also stayed with the Razgados. It was getting dark and raining when I stopped to get a bit of petrol for cooking at the petrol station in this tiny town. Before I knew it. The boys at the petrol station had me set up in a large empty house behind the station and we were sat down in the petrol station office drinking hot coffee and chatting away for hours. It rained very very heavily that night but I stayed nice and dry sleeping on the bare concrete floors of my abandoned home. I even had lights! 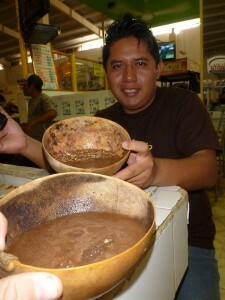 Rafael introduces me to Pozol. A cold drink made with chocolate and corn. Biker fuel! In a city of around 4 million, there will always be a couchsurfing host willing to lend a hand. 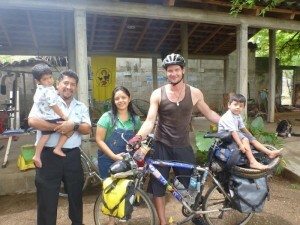 I stayed with Rafael and his family for two nights and a day of rest before tackling the last 60 km to San Cristobal. It was an interesting day of rest as it was spent at two different large family birthday parties. I was given an endless supply of food, snack and beers, and as the beers kept coming I got more and more confused trying to follow the conversation of this wonderful, excitable, and slightly crazy family. At the end of day nine I finally arrived at San Cristobal and the house of another couchsurfing host where I hope to stay for a few days (we haven’t talked about it yet). I have now reached the top of the final “bump” in Mexico. From here it is down hill for a couple for days and then I will be riding on extremely flat roads for a month or so as I explore all of Yucatan and Belize. But for now, I get to enjoy San Cris. If it ever stops raining…. For more photos you can check out the stage album. I’m afraid Facebook has messed up a bit so while most of the recent photos are in the correct order at the end of the album, a handful of the new photos are at the beginning of the album.